Simple and to the point title. I’m going to type on about abductions to impart what knowledge I have for them out. For anyone that experiences these first hand please take no offense sense I can only write about what I know and the theories regarding them. With that out of the way let’s get started. First: Hearing about or encountering sightings of supposed UFOs. The most common of them reported. Second: Evidence. When UFOs come to earth they can sometimes leave behind traces of their visit. From hydrophobic dirt rings to flour spread out on tinfoil in a closet. Third: Contact. This and the fourth I would think to go hand in hand though that’s just me speculating. There was a creature sighting in West Virginia that follows under this category. No I don’t mean Mothman. Fourth: Lastly abduction itself. Depending on who you ask the poor souls that endure this are either lucky for being “chosen” or extremely unfortunate for the trauma they have had to experience. I haven’t been able to experience any of the above save for the first. From what I can understand though most of those that have been abducted found it, as stated before, traumatizing. I’d find it that way too given some of the descriptions that I’ve read. Going from that some encounters seem to be entirely at random. Others have recorded history within their family of abductions, where their parents or grandparents had been previously abducted as well. With this I can only imagine what they may mentally suffer through. I’d like everyone to imagine for a moment a scenario of abduction. Taken aboard a craft against ones will either by implanted suggestion or force. Made to lay on a cold metal slab as experiments were performed while awake. All those horror stories of having surgery performed on ones body under failed anesthetic come true under the ship’s surgical lights. It’s no wonder some only remember such terror under hypnosis. Now don’t get me wrong here, there have been plenty of positive encounters as well. Reports have had some people state they had a “tender” fourth encounter. Others a tour of the ship and perhaps a quick look at earth from above to make them unofficial astronauts. Some have reported even being allowed to operate the ships as well, though I hope that the aliens were just humoring them and had the ship on auto pilot the whole time. Well sorry but a good majority of people are just terrible drivers. I know I certainly wouldn’t want to be the alien responsible for not watching the human as they crashed, then have to explain to the MIB why that little f.u.b.a.r. happened. With the encounters out of the way the skeptics have field days with this topic. Why is this? Some encounters can be tied to sleep disorders. Why do they say this? Because a lot of supposed encounters occur at night when we’re in our comfy cozy beds. 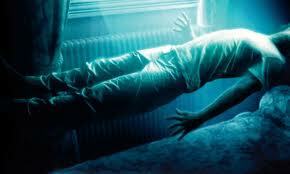 Sleep paralysis as it sounds keeps the body still during sleep and why we don’t (normally) roll off our beds in the night. When combined with waking dreams however it can be a rather frightening moment of its own. Only thing is depending on ones mental state the monsters in our own minds are far worse than what can happen with the aliens. Though if I might I don’t entirely agree with the theory though. As just stated our own personal demons can torture us far worse in my own opinion. Then again I get chased around by skeletal zombies in my dreams. To me this is another topic that needs more than a generalization and I can only put in a small portion of material on it. Like bobbie and spirits its one of those things that will need a re visitation at a later date. 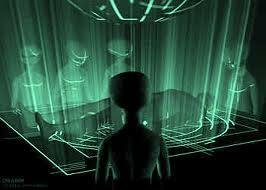 This entry was posted in Aliens and such and tagged abduction, aliens, contact, explained, extraterrestials, fourth encounter, paranormal, unknown. Thank you very much for the kind comment. I should have a new post up soon since I have a mothman post idea and another few on spirits.